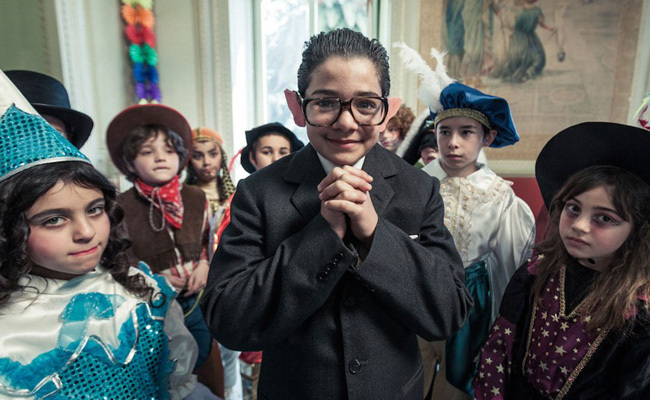 Pierfrancesco Diliberto (a renowned TV host and political comedian, better known as Pif) wrote, directed, and stars in this subversive, irreverent feature debut about Arturo, a young boy whose obsession with the Mafia's casual presence in his city of Palermo surpasses even his passion for Flora, the beautiful schoolmate who remains his main love interest until adulthood. Pif uses Arturo's unrequited love story as the vehicle to narrate the most tragic events in Italy's recent history, starting with the Cosa Nostra's criminal actions in Sicily in the '70s, which soon spread through the country (encompassing the barbaric murder of judges Falcone and Borsellino, an event that Pif handles with astounding boldness). THE MAFIA KILLS ONLY IN SUMMER spans 20 years of a life filled with passion and laughter and is a brave and intelligent dark comedy with a powerful message. Follows four children on their long and challenging journeys to school, in Kenya, Morocco, India and Argentina.